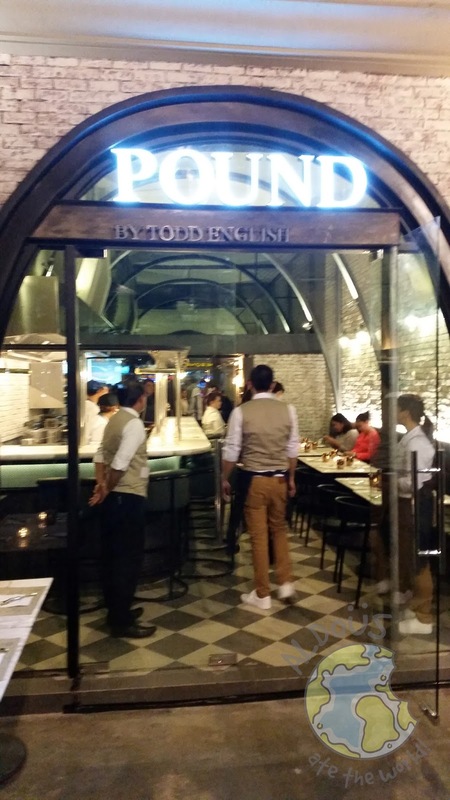 If you haven't heard of Todd English, he is one fellow you are going to be used to seeing often since we were at the opening of the newest restaurant Pound by Todd English at B3, Bonifacio High Street and the owners are planning to open 30 restaurants. After tasting their food, I'm actually glad that it is happening. Another good news is the fact that they are a #paywhatyouwant promo until February 10 for their burgers except the Pound Burger. What this means is that you can order as much burgers as you want from 11AM to 2PM and 6PM to 9PM and pay whatever you want. Yep, bring out the piggy banks! Do you remember that $100 bill that had your face on it and you thought you won't be able to use it anymore? Well, now is the time to use it. 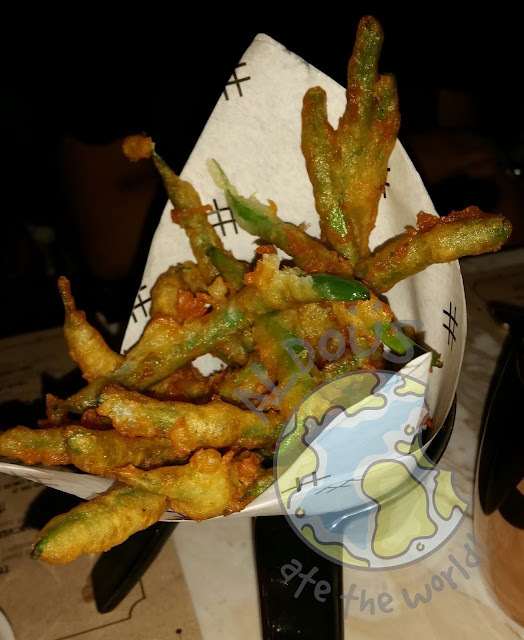 It is not in the menu but I loved the fact that these french beans were fried to a crisp. 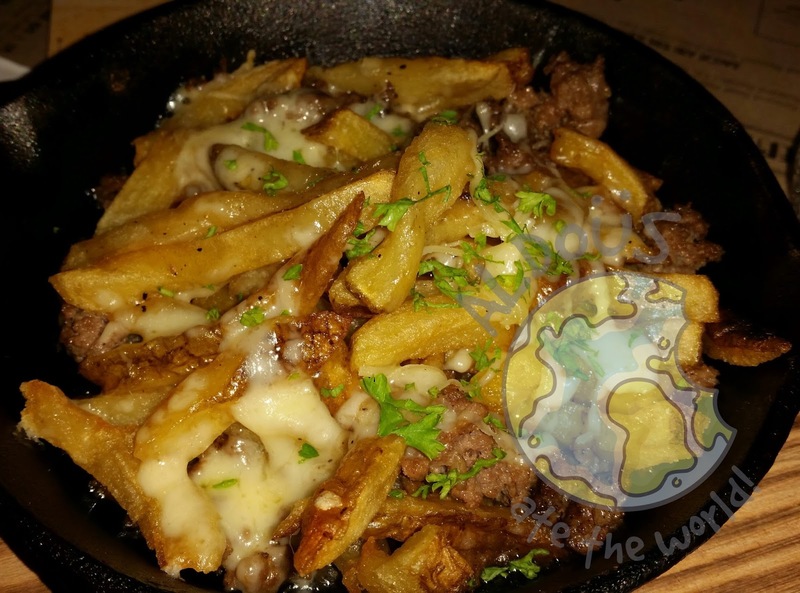 It is a great dish to pair up with their lovely burgers. The Poutines are all good and if you would ask me to pick a favorite, I would have to phone a friend because that is going to be one tough decision. All of them had fresh cut fries and cheese but The Bacon Poutine gave the best impression though as it had honeycured bacon as well. Like they say, anything with bacon is great. If a burger is named after Todd English then you have to expect it to be good. Well guess what, it damn sure is. This delightful treat contains tomato, iceberg lettuce, mustard relish, house ground beef patty and crispy onion that is so crispy it can already be classified as onion rings. The presentation of each burger is in a small container but that does not mean the serving is small. 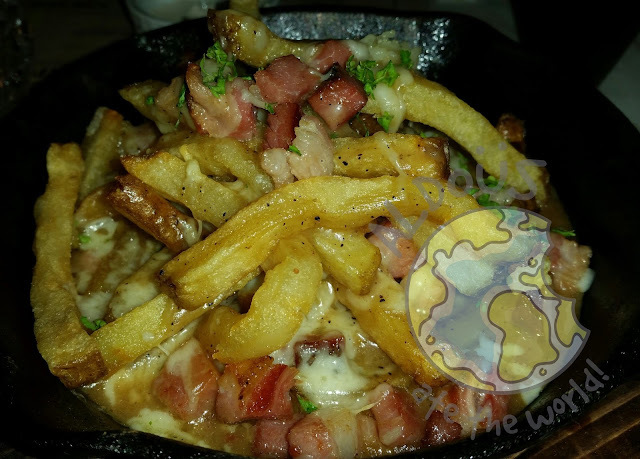 As a matter of fact, it is huge and the prices are pretty affordable for a restaurant that is in Bonifacio High Street. 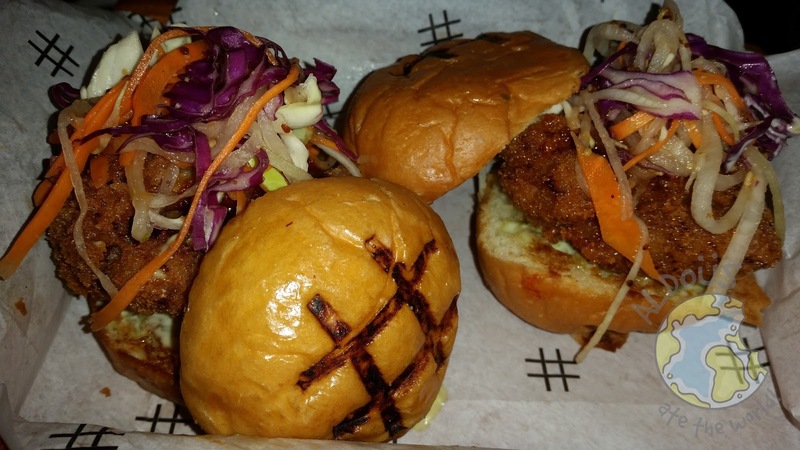 I'm no fortune teller but I can see the Crispy Chicken Sliders becoming one of their best sellers as it contains cilantro aioli, TE sweet sauce, crispy pickled slaw in brioche bun. Wow, what a winner this Pound Burger is. It is definitely not your average fast food double cheeseburger. It looks to literally have everything but the main highlights here are the 50g seared foie gras and foie gras mousse. 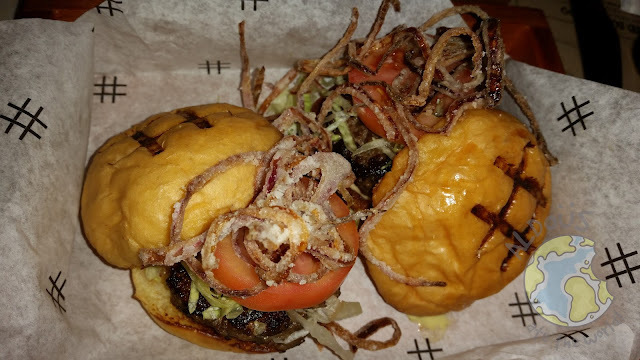 The house ground beef patty, tomato, iceberg lettuce, crispy onion, mustard relish, caramelized onions and Todd English sauce make up the rest of the ingredients. 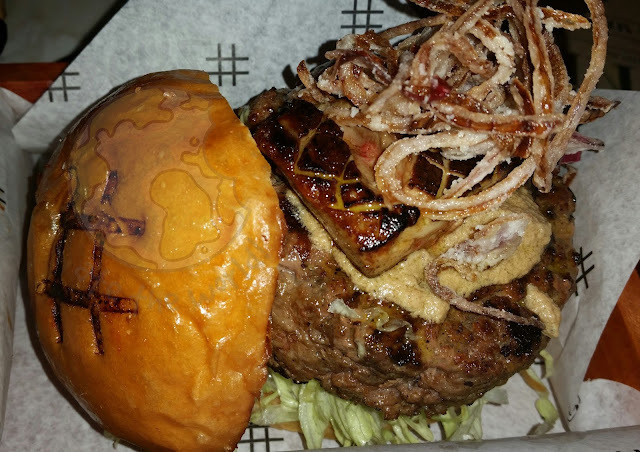 This huge burger is good for sharing as if that wasn't obvious. 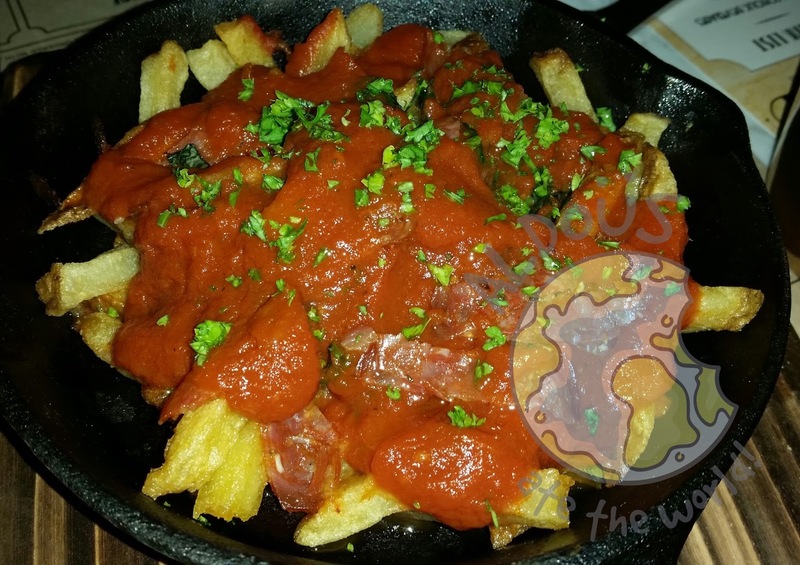 Seriously, if its picture did not make you hungry then there is something wrong with you. 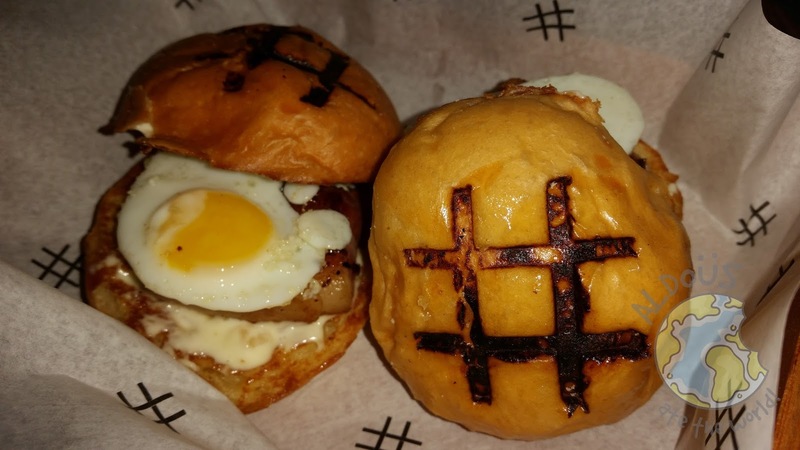 This burger is simply good news to the breakfast meal fans out there. It is always a good thing to have freshly cooked bacon and sunny side up egg in a burger. It's a burger that's going to make you feel complete about it even though there are only two things in between the buns. The T.E. 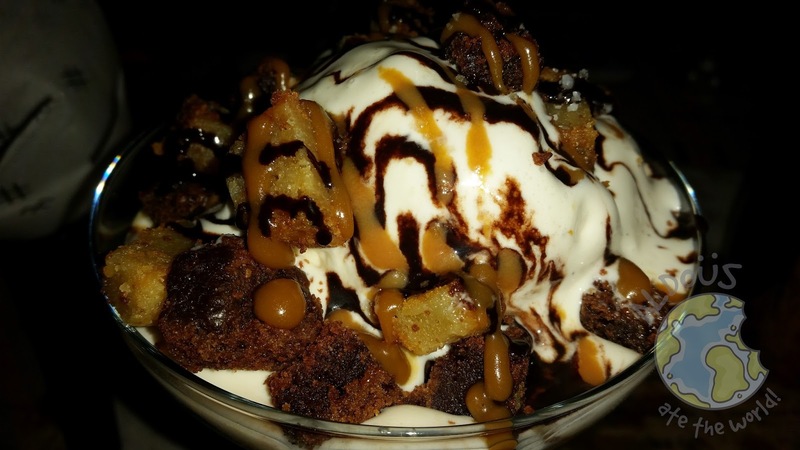 Sundae is such a lovely dessert that I felt really bad all four of us bloggers had to share one. I'm thinking that on another day I would have one all to myself and I would not care how much calories it contains. It actually has two brownies in the OMG Brownie and the Betty White Brownie but it would be hard to distinguish one from the other when the Vanilla Ice Cream melts so better dig in early. I'll pay 100 bucks for the T&E Sliders.